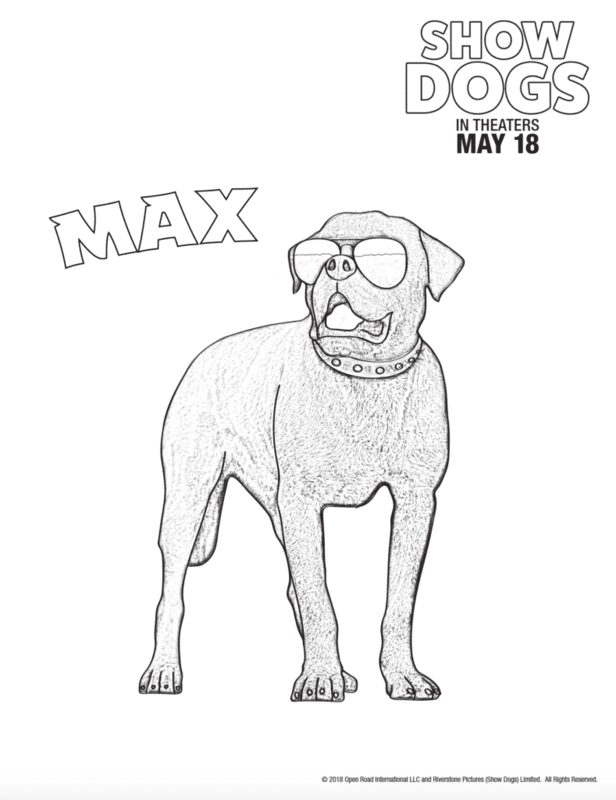 These dog coloring pages are from the Show Dogs Movie and are a great way to keep your children entertained – especially if they are huge fans of pups! Print them out and keep them on hand for your next road trip or have a few extra copies in your purse for your next restaurant outing. Are you looking for dog coloring pages for your kids? Well, I have a new kids’ movie to put on your radar and this one has talking animals! You know that’s always a WIN when it comes to the little ones. The Show Dogs movie is all Caleb can talk about. Ever since I showed him the trailer… it’s “Max, Max, Max.” Who can blame him? Whenever I can, I like to get the kids excited at home by allowing them to work on some free downloads and printables I find on the web related to upcoming releases. 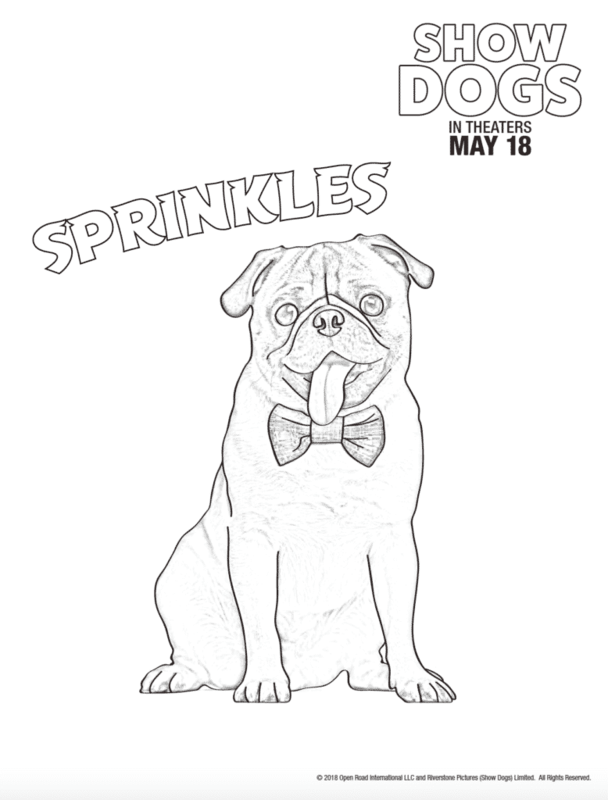 Luckily, these Show Dog movie coloring pages are super cute and unlimited! Click here to download all three of the images below or simply right click on the specific Show Dogs page you’d like for your kids whenever you’d like. Then, when you are done, mark your calendars! The Show Dogs movie releases on May 18th! Are you planning on seeing Show Dogs once it hits the theatres with the kids? I know this one is going to be a hit with my three. They love talking animals. LOL! 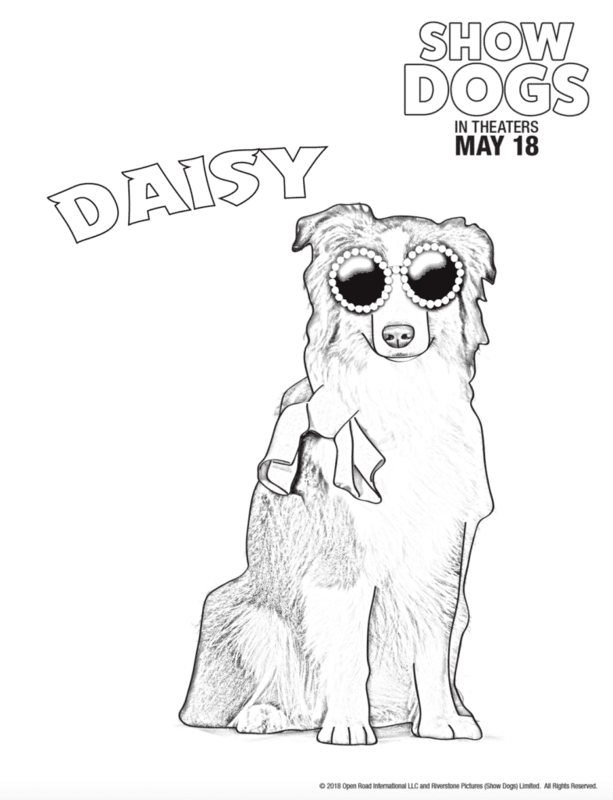 I hope you and the kids enjoy these dog coloring pages. Even if you don’t see the movie, I am sure your little ones will enjoy these printables.